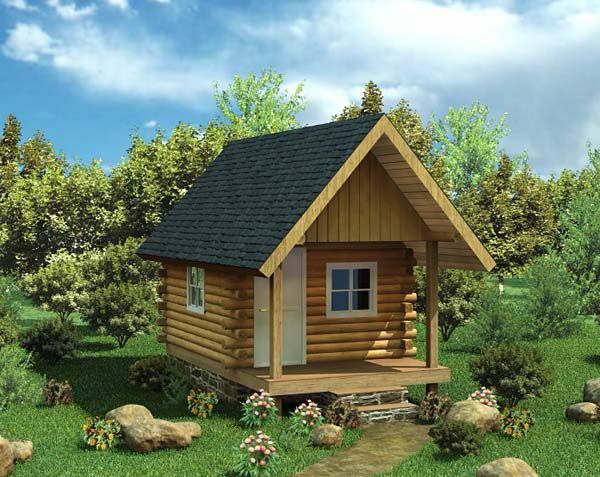 There's something special about tiny log cabins, whether they're nestled against a fishing lake or tucked deep in the woods. No matter where you live, there's no other style of home that feels quite as cozy or inviting. 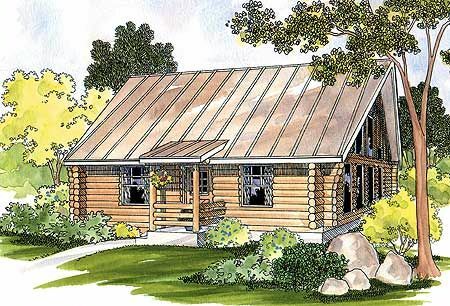 With airy vaulted ceilings, cozy wood-burning fireplaces and large front porches, log houses have something for everyone to love. 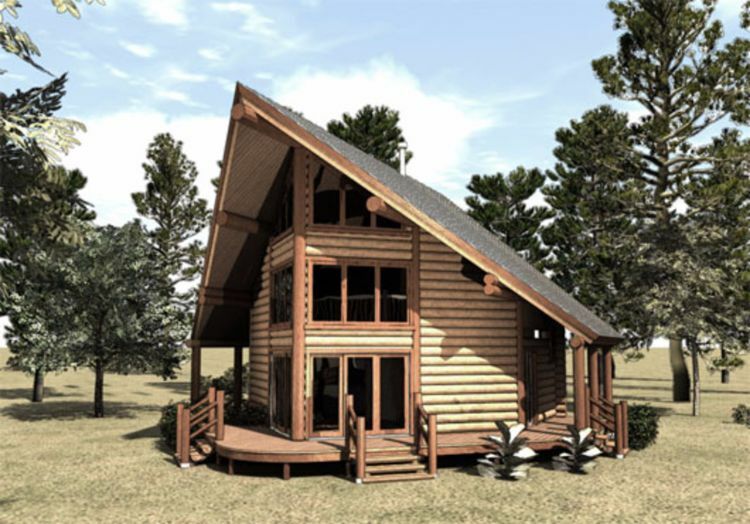 Check out this collection of log homes; it's enough to make any tiny house lover swoon! 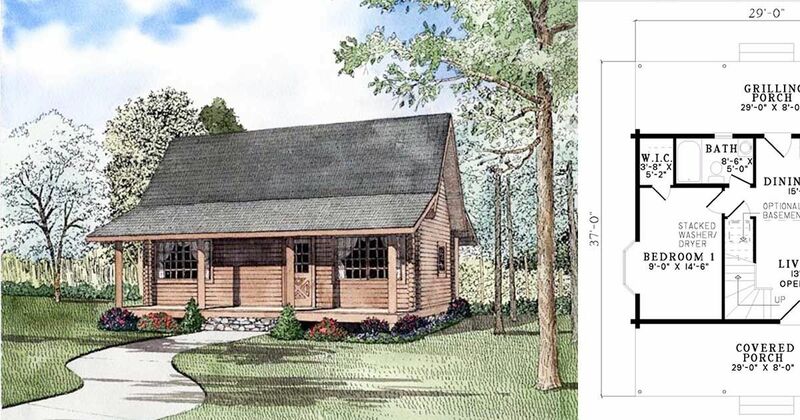 Measuring 689 square feet (64 square meters), this design from Houseplans boasts a large wraparound porch for extra living space. A door on one side of the home opens into a hallway, which provides easy access to the bathroom and the bedroom. Sliding doors on the other side open into an open concept living room and eat-in kitchen. 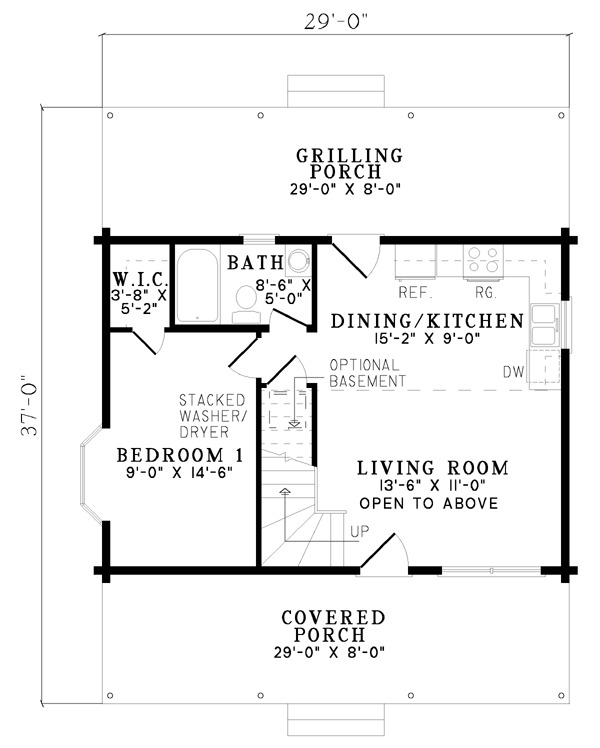 This floor plan from Family Home Plans measures 977 square feet (91 square meters). 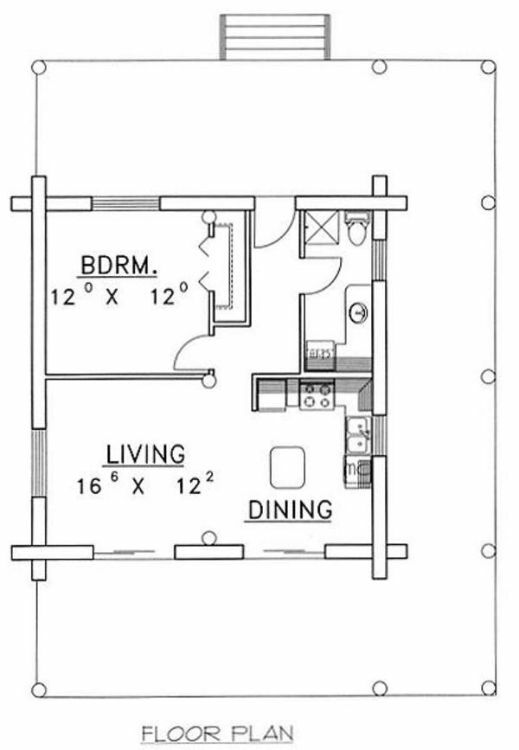 The living room and eat-in kitchen are found on the right side of the home, and a door in the kitchen leads to the back porch. A bathroom with a tub is just around the corner from the kitchen. 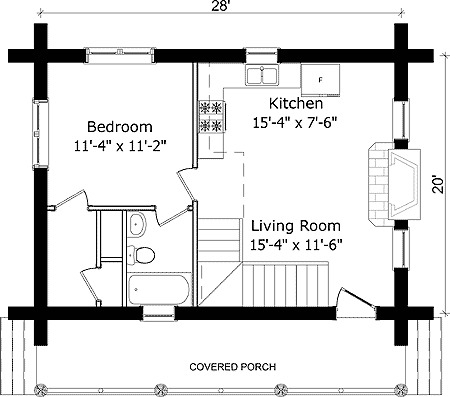 The bedroom is in the front-left corner of the home, and it boasts a walk-in closet. 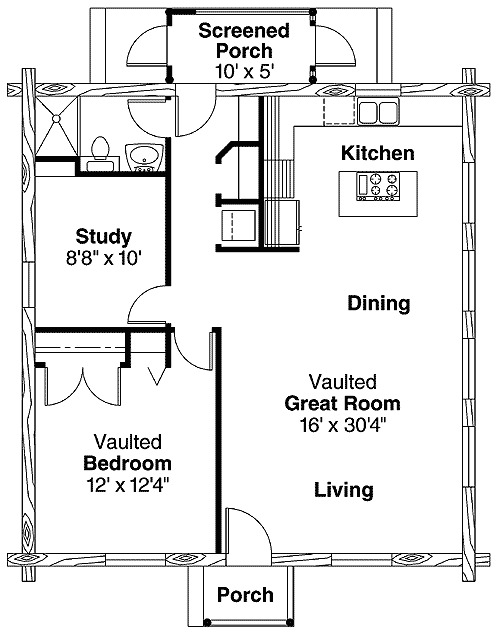 Upstairs, a second bedroom shares the space with a sizable loft that is open to the living room below. 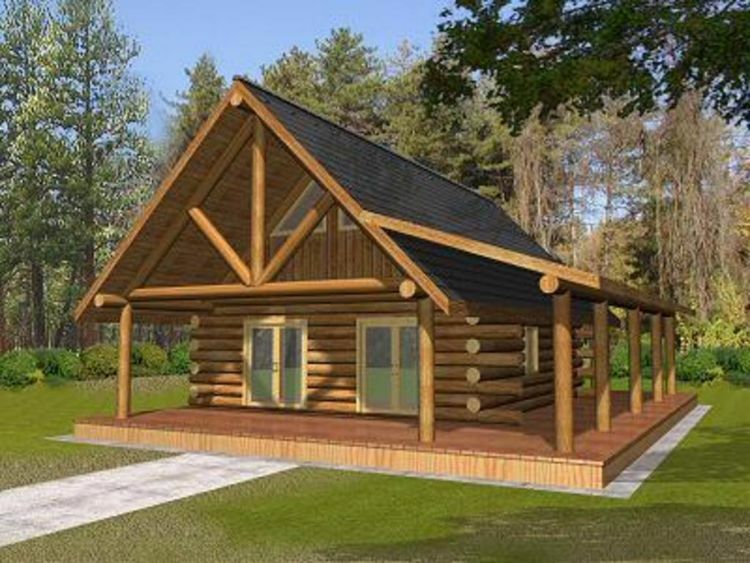 At 960 square feet (89 square meters), this home from Architectural Designs would be ideal for a couple or a single person looking to downsize while keeping some of the luxuries found in a larger home. The front door opens directly into the great room, which features vaulted ceilings. A kitchen with an island is directly behind this room. 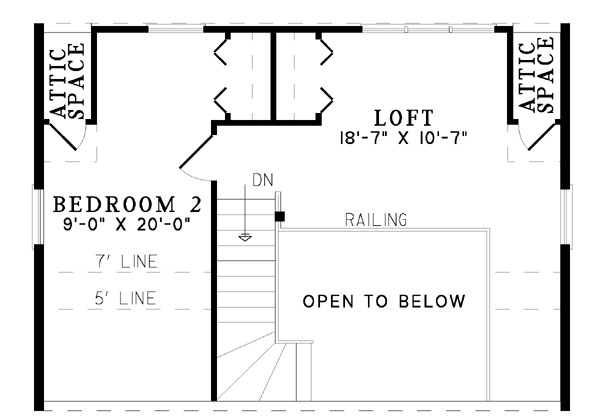 Off to the left, a small hallway leads to a bedroom with vaulted ceilings, a study and a bathroom with a shower. A screened porch can be found at the back of the home. 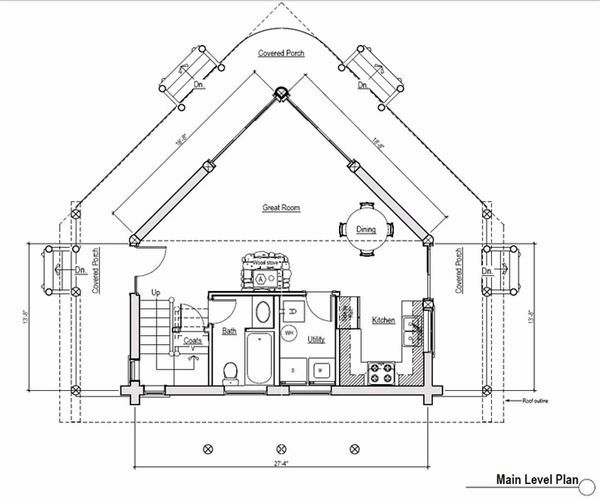 This family-friendly home from Floorplans measures 681 square feet (63 square meters), and it manages to squeeze in two bathrooms as well as two bedrooms. 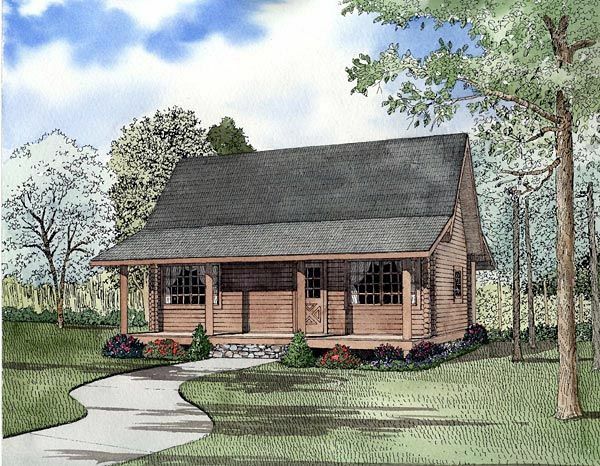 The front portion of the home is taken up by an open-concept kitchen, dining room and living room, and a large patio is accessed through the kitchen. All of the bedrooms and bathrooms are found at the back of the home. 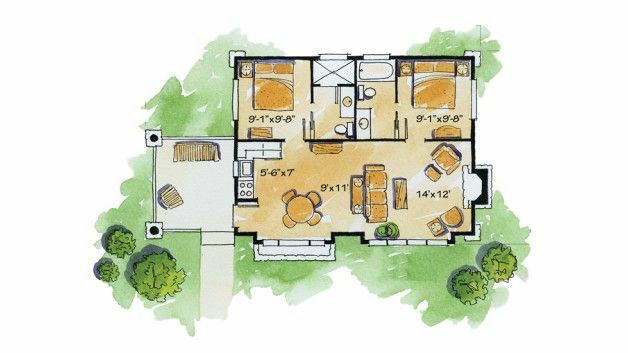 Coming in at 201 square feet (19 square meters), this design from Family Home Plans is simple but sweet. 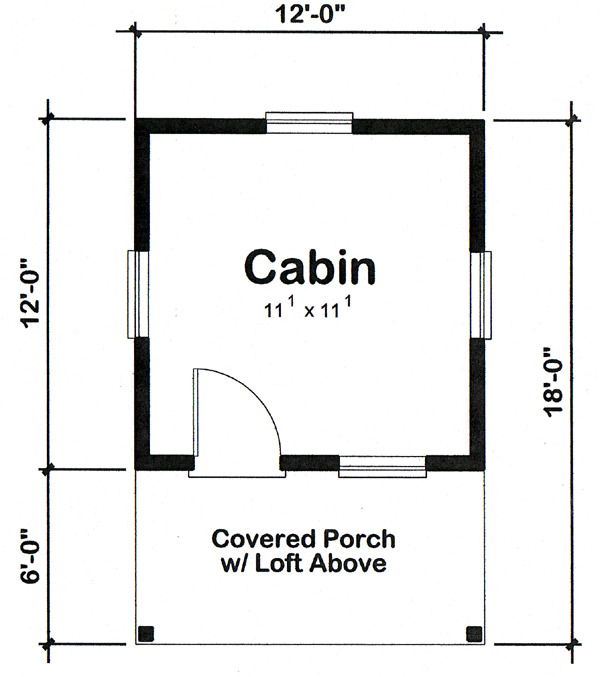 The front door is located under a covered front porch, and it opens into the main living space. A ladder leads to the loft upstairs, which can be used for sleeping or storage. 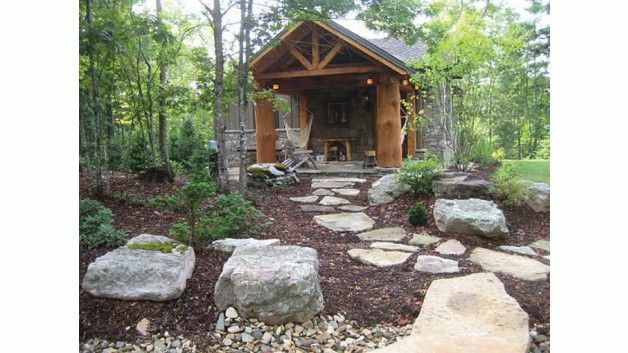 This is about as simple as it gets; there are no bathroom or kitchen facilities. This home from Architectural Designs comes in at 863 square feet (80 square meters). The right side of the home is taken up by an open-concept living space, which includes a large fireplace and an L-shaped kitchen. 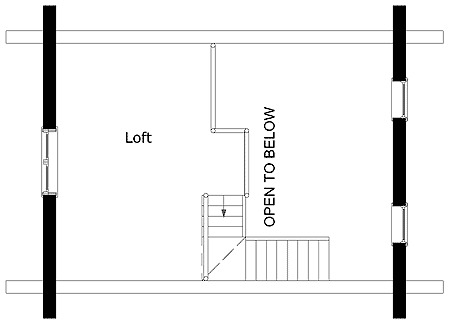 A door in the living room leads to the bedroom; this is where you access the bathroom. 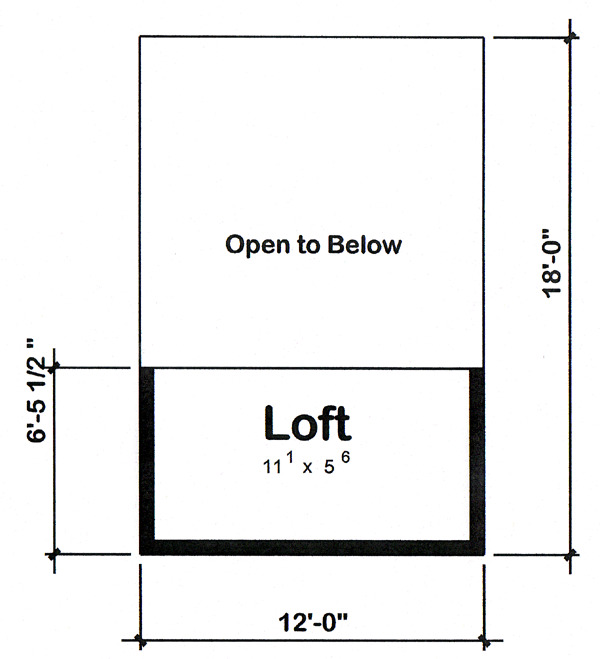 A set of stairs leads up to the loft, which is open to the main living space below. 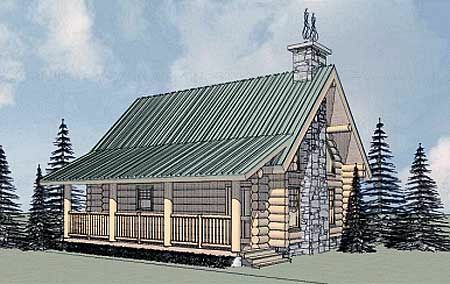 At a relatively spacious 939 square feet (87 square meters), this design from Houseplans has a unique shape with a large wraparound porch. A door on the left side of the home opens into a small entry area; the staircase is on the right, and the great room is to the left. 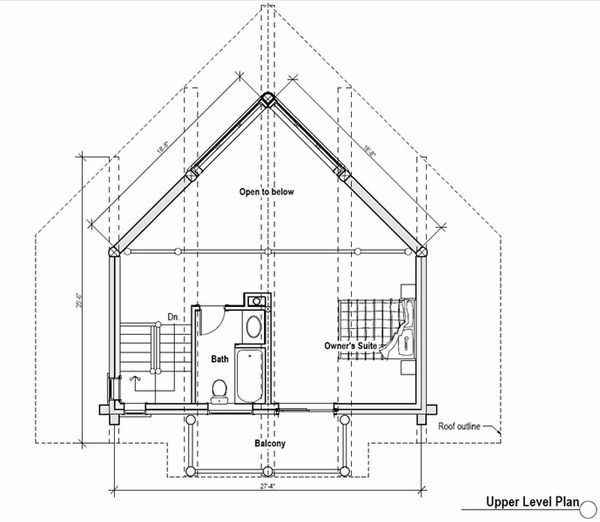 A bathroom with a tub is right next to the staircase, and you'll pass a large wood stove on your way to the kitchen. The master suite is found on the second floor, and it includes a second bathroom as well as access to a private balcony.